I´m selling my camera so I need to get rid of my field monitor as well. This is a great monitor that a lot of people prefer over Ikan and Marshall. I used it with a Sony EX-1 and a 35mm adapter for better focus and framing. Can be picked up in Melbourne. Put wrong Prefix. This if FA (for auction) not buy it now. 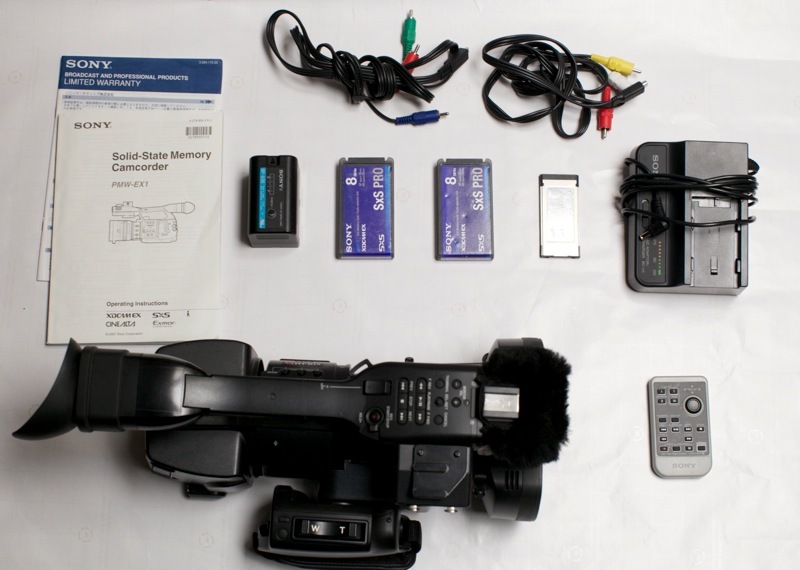 • It comes with two Sony SXS 8gig cards and two SD to SXS card adapters. • It comes with the bp-u30 Battery, cables, charger, manual, and a rycote wind stopper for the stereo mic. • The Shotgun mic holder has been replaced with an additional shoe mount. • Asking $4250 for this camera payment through Paypal add $50 for shipping. Buy it now and get 2 free bp-u60 Batteries! I know this is an expensive camera to buy on ebay. I am available anytime. Just contact me through my Ebay account. If you have less than 10 feed back contact me first before you bid. I have been scammed in the past and won't accept you bid. I have a few items for sale on eBay. *Everything* comes mint and brand new. I put a nice complete shotgun microphone solution, complete with K-Tek K-SSM mount, Rycote Softie and XLR cable on Ebay. Everything is in great shape. Worldwide shipping. Just completed my latest filming expedition and will not be using the XL equipment for a while, so sadly selling my beloved razor-sharp Canon original 6X HD zoom lens. Did you pay by charge card? In Canada the charge card can go after paypal . Had this happen to me. just sold my EX1 and I´m now selling my tripod as well. This unit is the best tripod I ever had and goes extremely well with middle size camcorders. It´s also pretty light and easy to carry around.